Kaylin's Kit: Red Panda Giveaway! You do not have to donate to win! 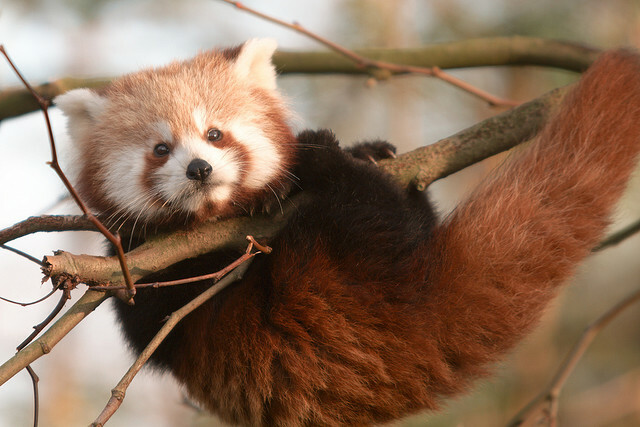 These promotions are in addition to the wonderful gifts you can get by donating, such as the Red Panda Network eco-friendly tee! If you donate, enter by leaving a comment through the giveaway widget below. Those who are unable to donate can still earn entries by sharing this post with others up to once per day! That's it! Look for a post in early May with an update and pictures of my homemade vegan red panda sugar cookies. UPDATE: The giveaway has ended. Congratulations to our lucky winner! *Applies to emails received from 4/20/12 to 5/1/12 at 11:59 PM CST. Matching will occur up to a donation limit of $1000. But please feel free to give as much as you'd like! Donated. Nice matching giveaway idea for the pandas. Thank you for your support, Danny! I donated $50 because this has always been my favourite animal charity. I fell in love with Red Pandas on first sight in 1985 and can never get enough of these gorgeous creatures. Did you know that the Dublin Zoo has managed to have two cubs born? They are just too adorable. And they also offer an adoption program as well! I love Red Pandas! It's such a shame so many people didn't know about it until they met me. :D Thank you for supporting Red Pandas and I hope you have a wonderful birthday!